As a parent, you can no longer move somewhere because it's really, really, really boozy. You could relocate somewhere because it's one of the best places to buy a home, or one of the safest cities in America, or one of the best places to start a career in the US. But really, there's one major consideration: Where's the best place for your kid? With that in mind, we present this new study from WalletHub. It compares all 50 states using 49 indicators of kid-friendliness and combines them into a country-wide ranking, complete with a map that'll give you a quick overview of the best places to look. Because parenting is a lot of work, we've made this a bit easier for you by highlighting the top and bottom 10 below, but definitely check out the report to see the full list. We're not saying you should move right now, but if you're in the bottom 10, wouldn't you rather know? To use the map, just hover to see the ranking. The darker the state, the more kid-friendly it is. To make its ranking, WalletHub looked at every state in the US via five major dimensions: 1) Family Fun, 2) Health & Safety, 3) Education & Child Care, 4) Affordability, and 5) Socio-economics. Those were broken down in 49 weighted metrics -- including things like share of families with young children, quality of public hospitals, and day-care quality -- each graded on a 100-point scale and combined into an overall score that was used to rank the states. 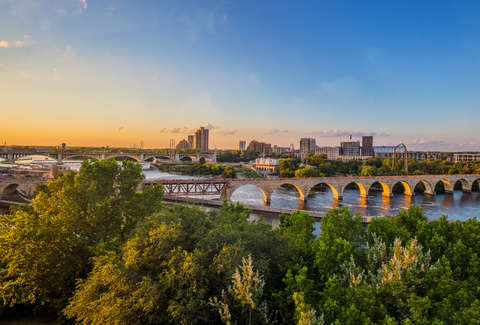 Topping the list on the safety side was Minnesota, which is unsurprising when you consider that it had the highest median family salary, tied for second in lowest percentage of families in poverty, and had the third lowest divorce rate. Also, it's supposed to have pretty pleasant people, which, you know, is good for kids. The East Coast faired pretty well in general, with six of the top 10. On the other end was New Mexico, which came in at the very bottom overall, had the 47th lowest median family salary, tied for last for most violent crimes per capita, ranked in the bottom five for highest divorce rate, and had the second high percentage of families in poverty. It's also really warm there, though, and kids love warm weather. Think this over, but in the meantime, check out America's safest cities and trigger yet another bout of parental paranoia.